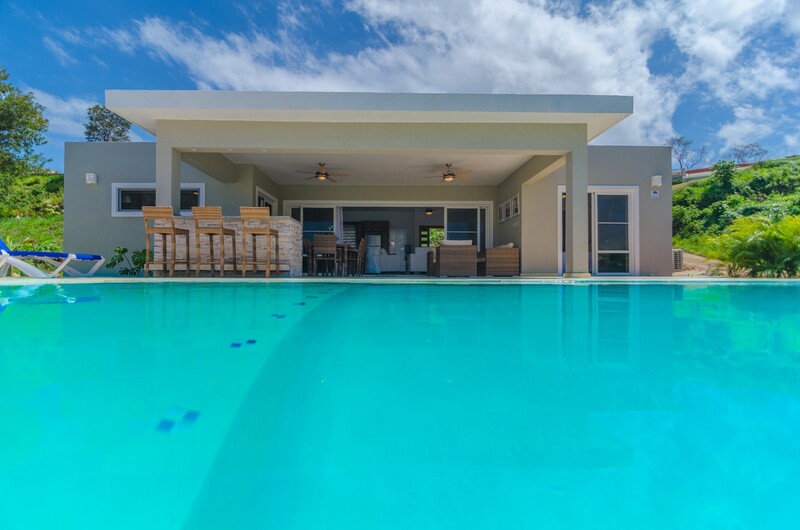 This spectacular brand new modern 2 bedroom villa Sunseeker is situated in the center of all that Casa Linda has to offer and is steps away from the amazing community amenities both present and planned for the future. 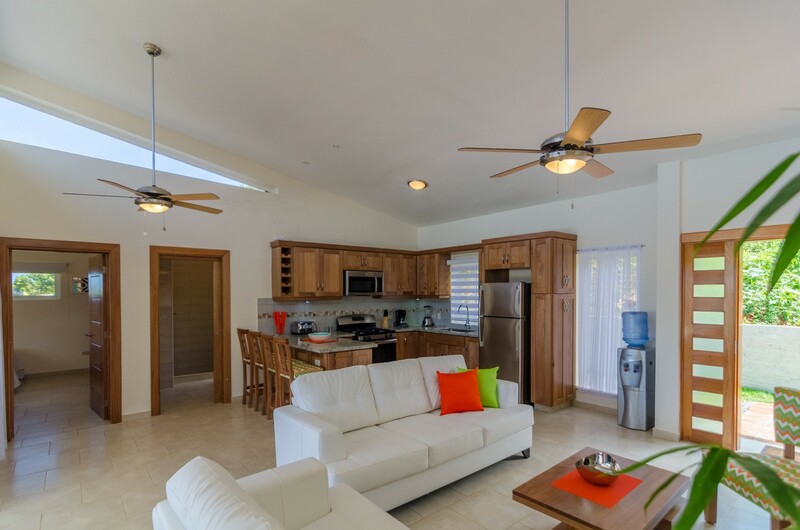 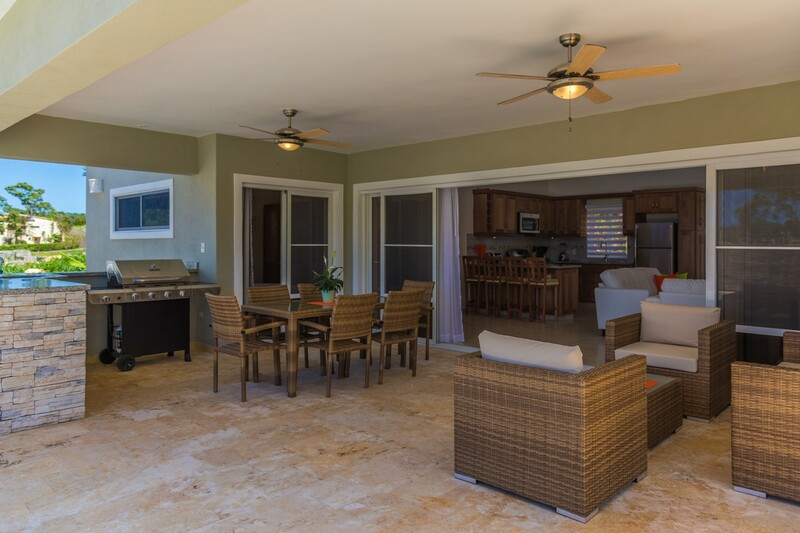 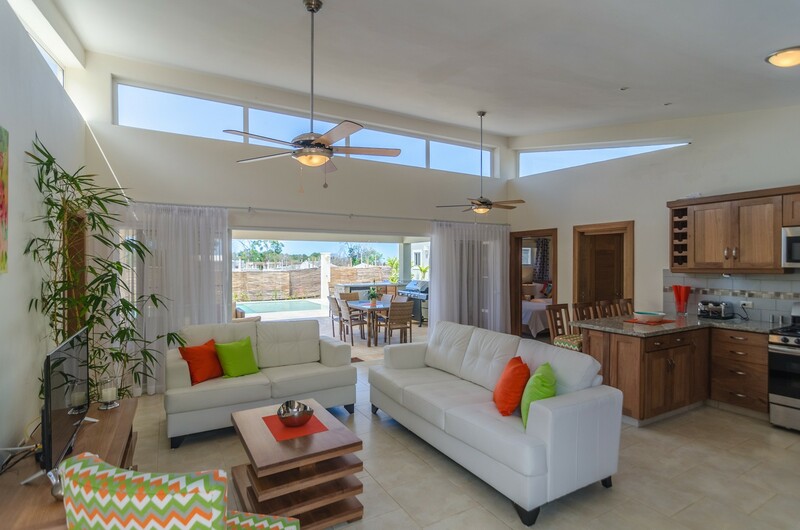 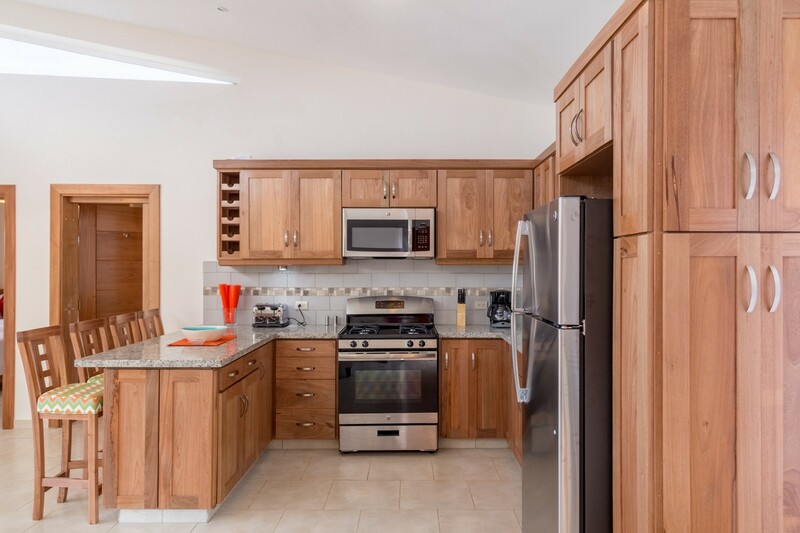 Professionally decorated, this open concept villa is bright and airy thanks to its vaulted ceiling and side windows. 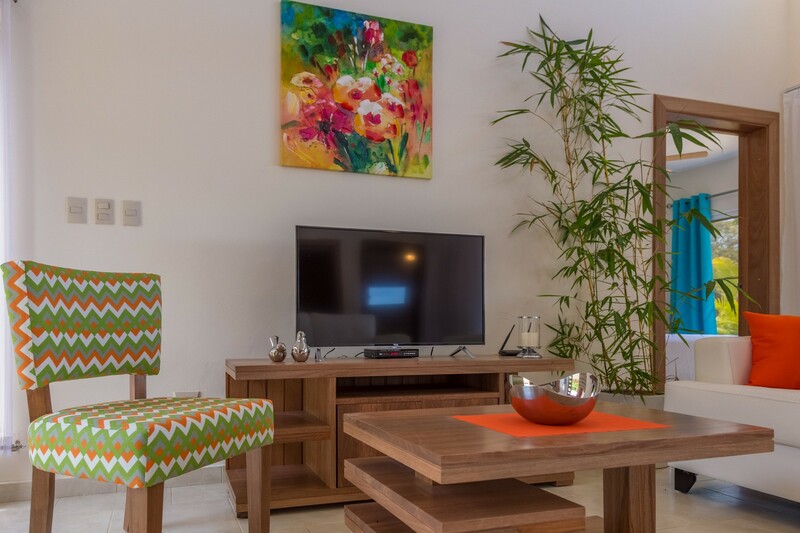 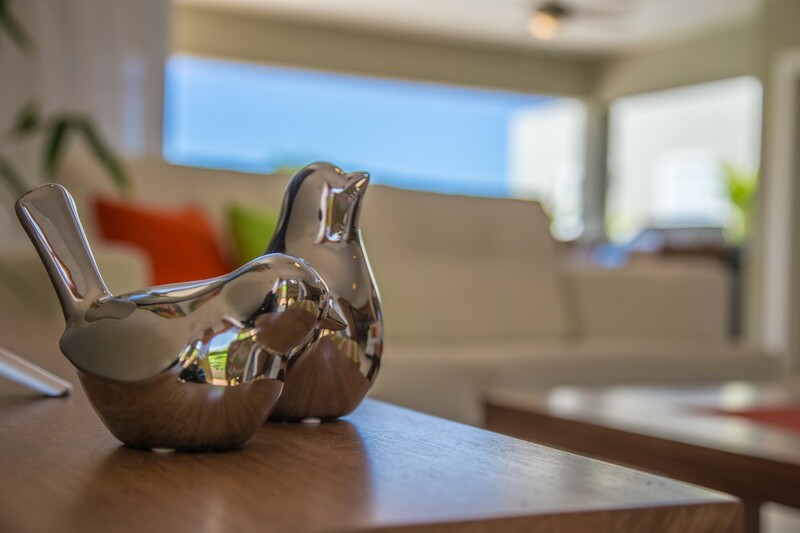 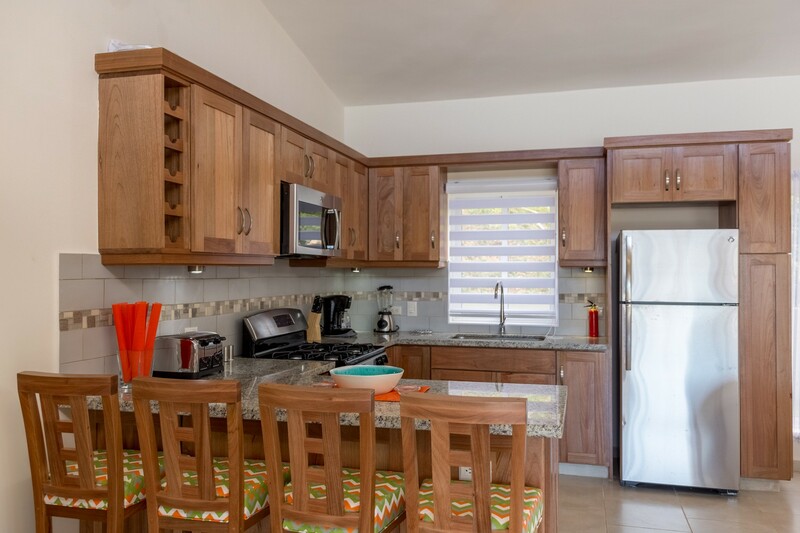 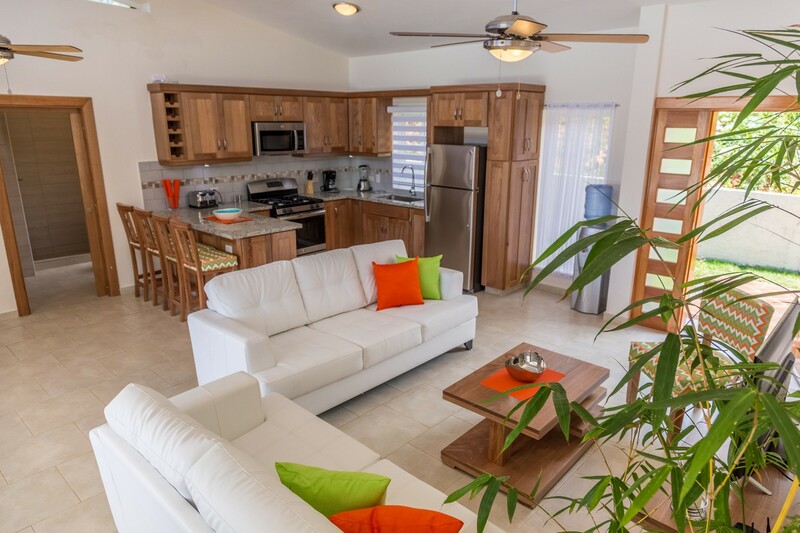 Enjoy all the comforts of home with modern stainless steel appliances, high speed Internet, cable and smart TV. 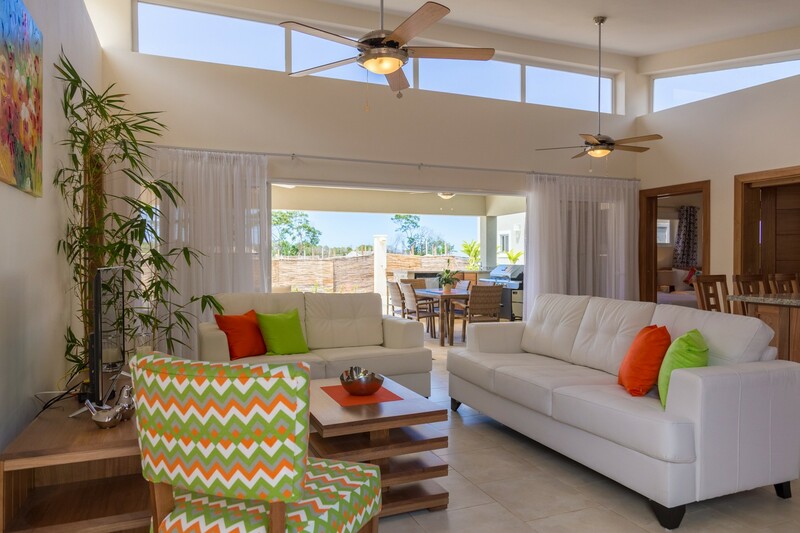 Stay cool with A/C in each bedroom and celling fans in the living area and outside covered terrace. 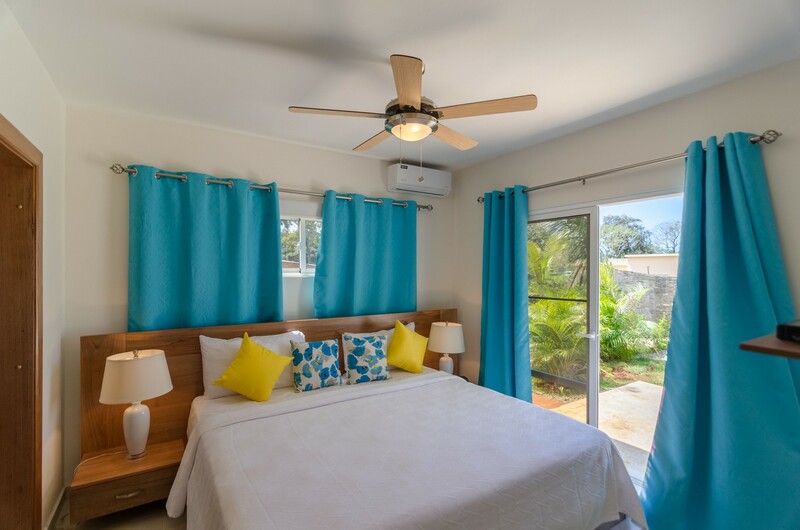 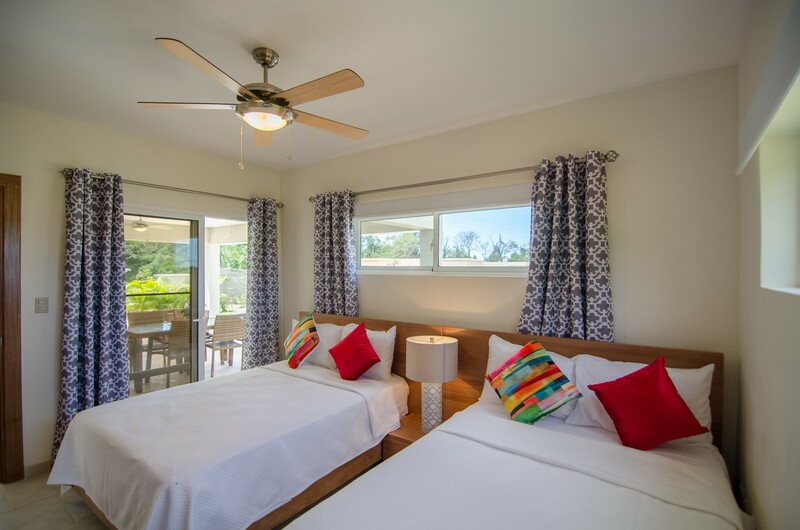 The master bedroom has a king size bed and the guest bedroom has 2 double bed for flexible accommodations. 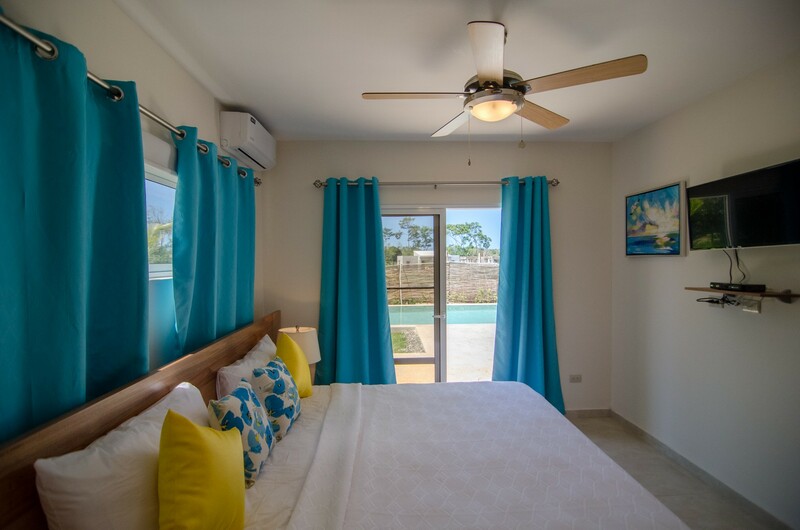 Both bedrooms have a smart TV and their own bathroom for privacy. 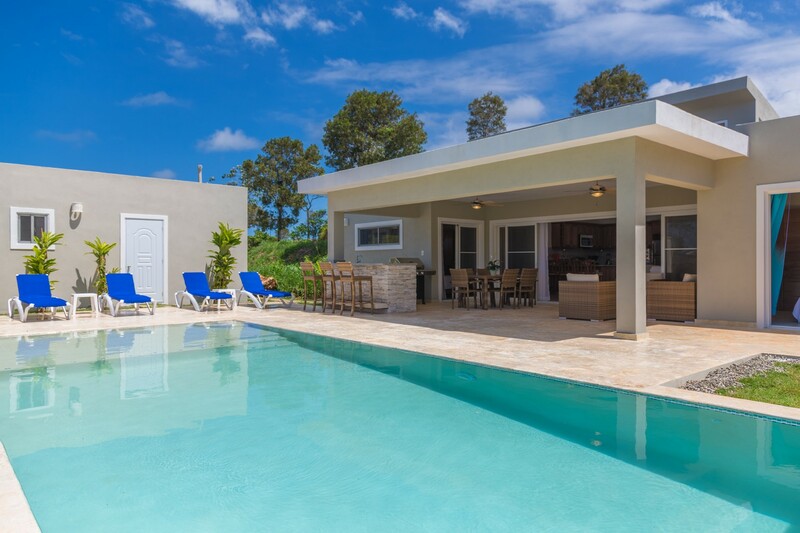 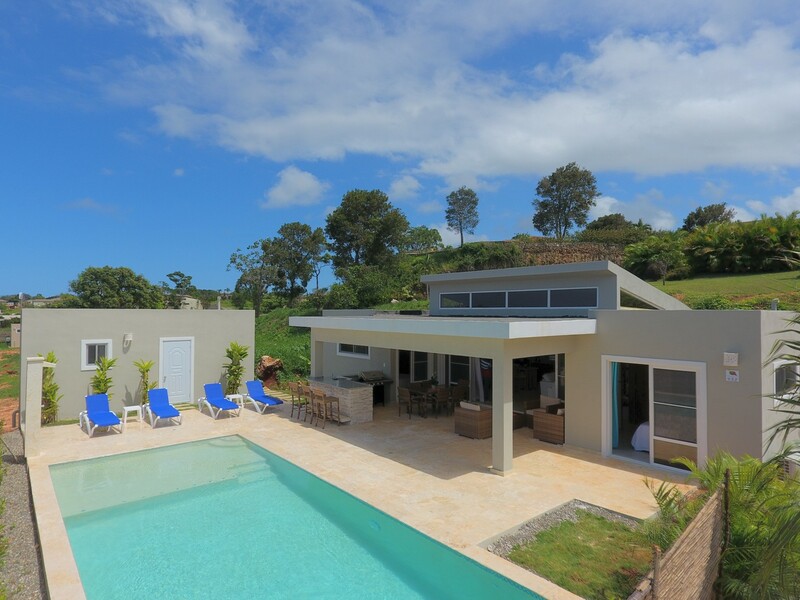 Head outside and soak the warm weather in your private garden to cook on the grill, swim in your own pool and load the outdoor bar to share fun and laughter around the outside bar area. 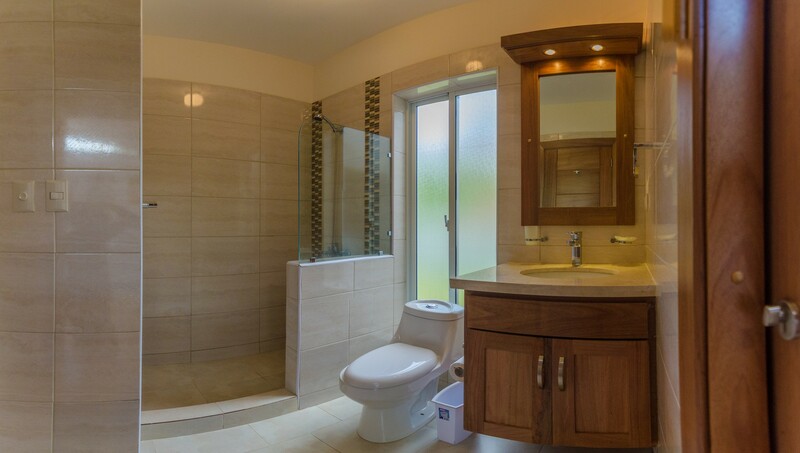 There is also a convenient bathroom and outside shower near the pool. 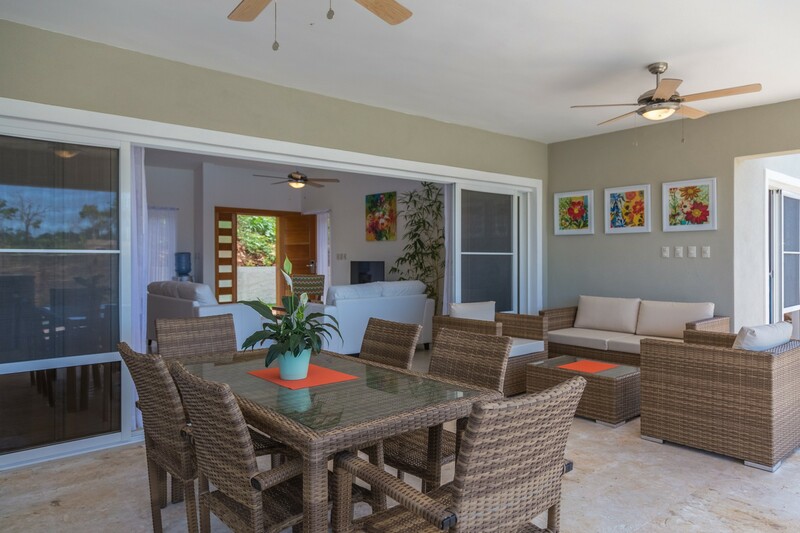 Enjoy Al Fresco dining with the large dining table and after diner drinks in the lounge area both under the large covered terrace. 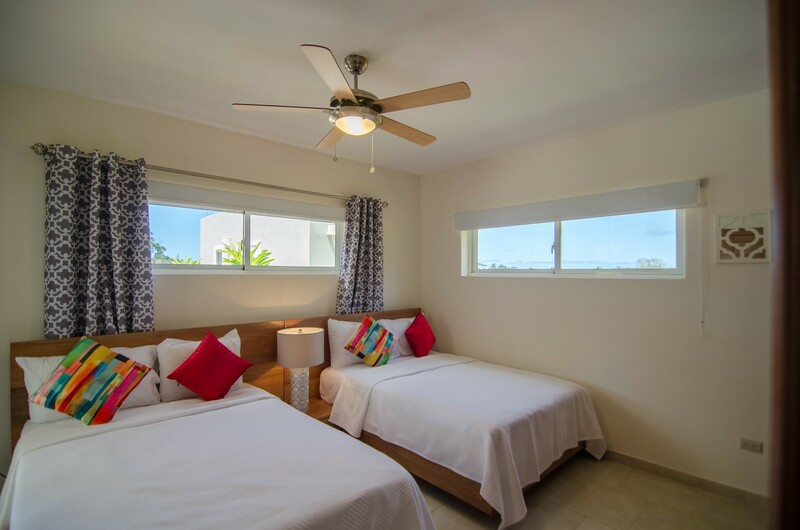  There is a free shuttle service offered by Casa Linda that will take you to the center of town to enjoy all the restaurants, bars, shopping and beautiful beaches to the neighboring town of Cabarete and Sosua. 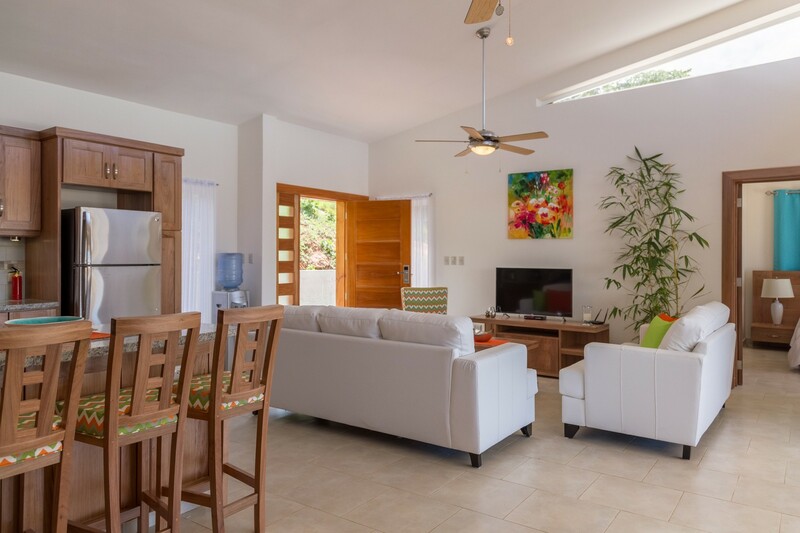 Come live your Caribbean dream vacation!